Otis Spunkmeyer has over 30 years experience making cookie dough that people love. Now you can take advantage of their experience to raise money for your causes. 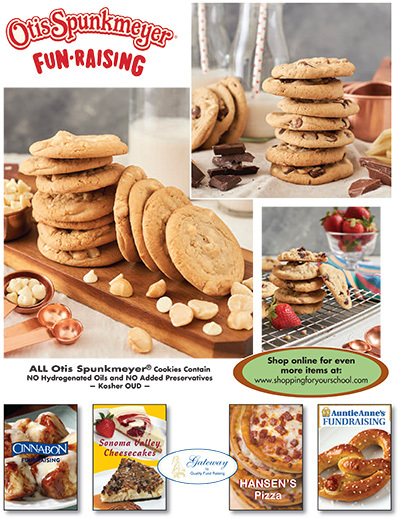 Because everyone loves cookies, cookie dough is one of the most popular fundraising approaches, and Otis Spunkmeyer is the #1 cookie dough in fundraising. 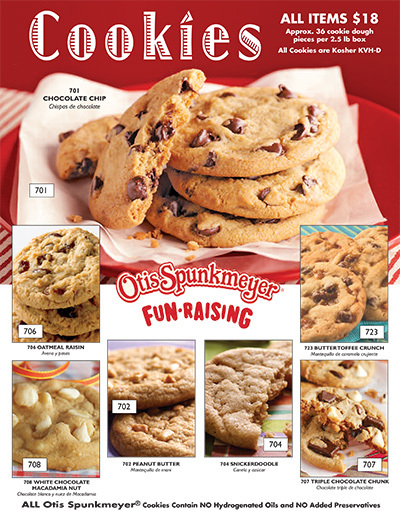 With an Otis Spunkmeyer cookie dough fundraiser, our quality means more dough for your organization. A brochure featuring all of your favorite Otis Spunkmeyer cookie doughs Auntie Anne's, Nob Hill Pizza, Sonoma Valley Cheesecake, Jelly Belly and Cinnabon. A brochure featuring 7 of the classic Otis Spunkmeyer cookie dough flavors all at $17.